Nestled in the foothills of the Catskill Mountains of upstate New York, Birdhouse Brokerage is a family-owned-and-operated business. 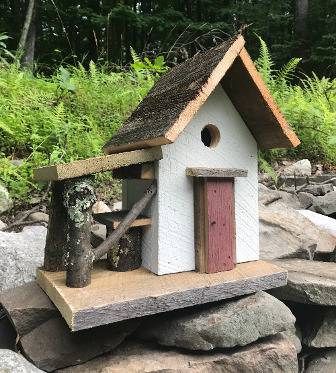 Our birdhouses are lovingly handcrafted using freshly milled and reclaimed barn wood, rescued from aging barns found in the New York's scenic Hudson Valley. Some of our timbers date back 100 years or more, and are skillfully transformed into unique birdhouses with the charm of yesteryear. 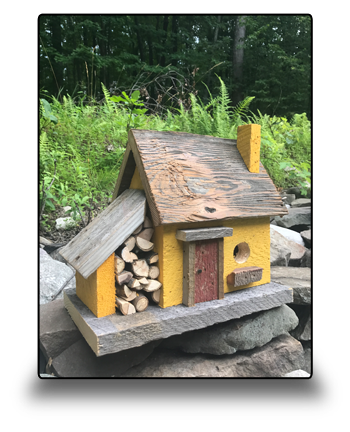 Each of our stunning birdhouses are unique pieces that are handcrafted from reclaimed materials. Not only will they offer grateful birds a home, they will elevate the look of your home or garden. 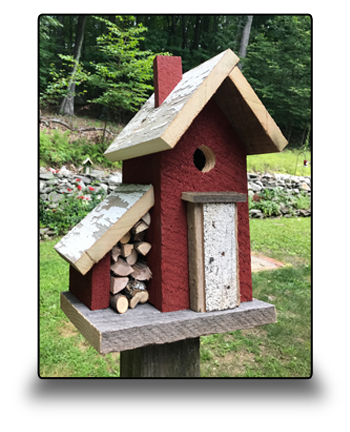 Turn your neighbors green with envy when you purchase one of our birdhouses for your garden.